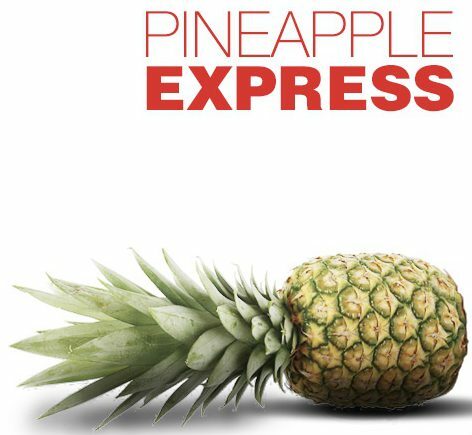 Alamo Drafthouse Cinema Hosts Pineapple Express Movie-Themed Dinner! If you enjoy eating and watching movies, and you aren’t lucky enough to have an Alamo Drafthouse Cinema in your city, then you are missing out on an opportunity to do both at the same time while also being outside of your own living room. Alamo Drafthouse is a cool chain of theaters where you can order food and drinks (read: alcohol) from your seat and servers bring it to you while you watch the movie. It is very fun and cool, and it definitely saves time and planning efforts when you are on a date and are trying to decide if you should eat dinner before or after seeing the film. We’ve all been there. The theaters are very comfy and cozy, with ample arm-rest room, and a little table right at your seat. 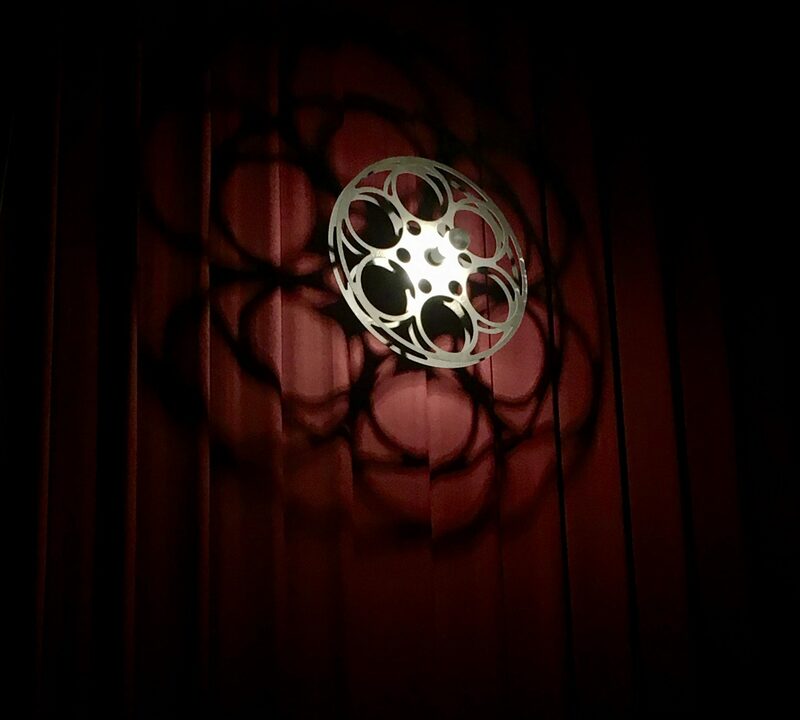 Select theaters even have these cool Film Reel Light Fixtures on the walls, which get you all in the mood see a film! About once a month, Alamo Drafthouse in Downtown Brooklyn (which is the one closest to me) takes in-theater dining to the next level with a special Food & Film event, where a dinner menu is created to go with the theme of a popular classic movie. 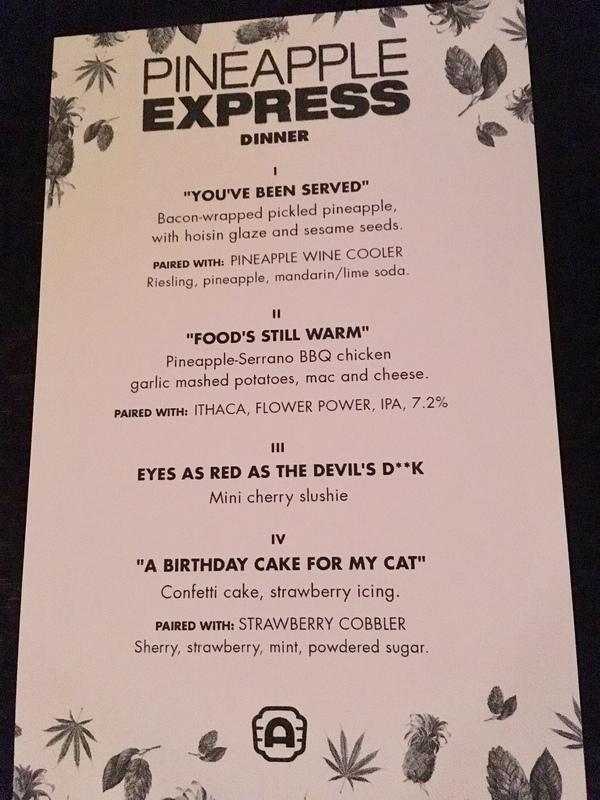 I was recently lucky enough to score an invite to attend a screening of David Gordon Green’s stoner romp, Pineapple Express, which was accompanied by a four-course movie-inspired meal from Alamo’s Executive Chef Ronnie New, and drink pairings from Beverage Director Vincent Favella. What a great entertainment value! If you have not already seen Pineapple Express, let me tell you a little bit about the plot. Pineapple Express is an absurdist black comedy starring Seth Rogen as Dale — an underachieving stoner who works as a process server — and James Franco as his pot dealer Saul, who sells Dale a rare, extremely potent strain of weed called Pineapple Express. 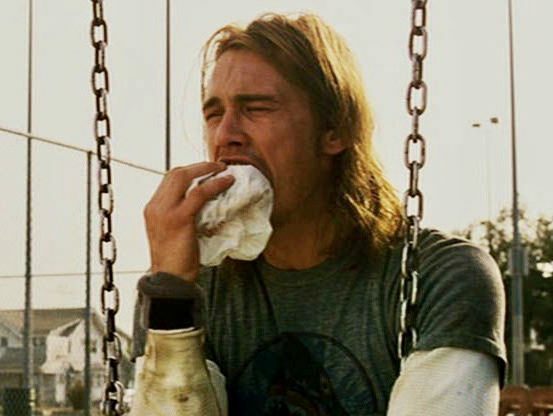 When Dale inadvertently witnesses a murder, he puts both himself and Saul in danger when he tosses a joint of Pineapple Express from his car as he flees the scene. Since the hitman just happens to know that Saul is the only dealer who sells that kind pot, the bad guys know exactly where to find him. It just gets more ridiculous from there as Dale and Saul try to stay alive while being high out of their minds. Danny McBride and Craig Robinson also star, and the cast includes minor supporting roles and cameos by a dozen name actors such as Bill Hader, Eg Begley Jr., Rosie Perez, Gary Cole, Amber Heard and Kevin Corrigan. On repeated viewing, it’s pretty obvious that most of the dialogue was ad-libbed, which, considering the crazy plot and the fact that the actors were most likely wasted during filming, serves the film way better than any script could. Pineapple Express is also the only James Franco role — except for the first Spiderman movie — in which I find him to be completely attractive. Check him out. The menu, seen above, included a tasty appetizer, a hearty main course, a palate cleanser, and a very delicious dessert, plus three cocktails! Each dinner course was named after an appropriate line of dialogue from the film. Clever. 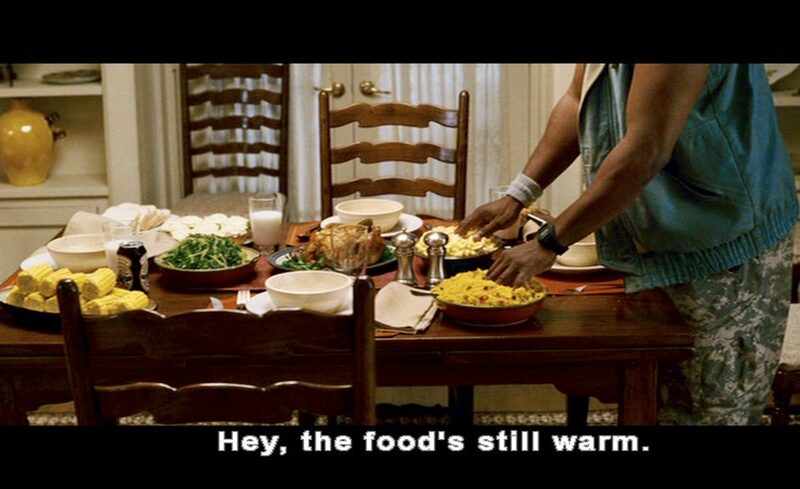 For example, the main course, Food’s Still Warm, recalls a line delivered by Matheson, Craig Robinson’s character, when the bad guys arrive at April (Amber Heard’s character)‘s house looking for Dale and Saul, and Matheson puts his hands in the food he finds on the dinner table, to assess how long ago the family left the house. The movie was hilarious as usual, and the food was delicious. I especially loved the You’ve Been Served Pineapple and Bacon amuse bouche, and the Birthday Cake for My Cat Strawberry Cupcake with buttercream icing, which was just insane. The cocktails gave me a nice buzz, but I wasn’t so wasted that I couldn’t make it safely home on the subway. If attending one of these Food & Film movie-themed dinners sounds like something you would enjoy, and you’re maybe not so disciplined about checking the cinema’s online calendar, I’d recommend signing up for Alamo’s Victory program, a free-to-join rewards program where you can earn free movies and food, etc. that also sends out email newsletters of goings-on at the theater, at This Link! Thanks to Alamo Drafthouse Cinema for a fun time!